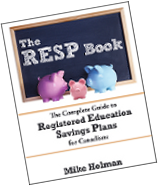 I’ve done the last of the new material for the 2nd edition of the RESP Book. Which of course means – no more posts on RESPs! Yay!! Congrats to the Bruins for winning the Stanley Cup – I was cheering for the Canucks, but Boston definitely deserved the win. Sheryl Smolkin from Moneyville wrote an excellent article on avoiding summer job dangers. If you know someone who is starting their first summer job – send this to them. Rob Carrick had an interesting piece called Financial advice business needs to grow up. Agreed – some standards are necessary. Financial Uproar says that losing weight and losing debt is not complicated. My friend Potato is a tortued soul these days. Between trying to finish his Ph.D. and wondering if he should get back into Sino-Forest – it’s been a long week. Blunt Bean Counter had a good post on idiots people who pay more tax so they can save taxes. Michael James says that if you want to save money – make sure you are applying your efforts in the right places. The Oblivious Investor explains why small cap stocks can be good for your performance. Blunt Bean Counter talks about the legalities of short sellers with respect to Sino-Forest. Boomer & Echo can’t decide if he should pay off his credit card balance immediately or wait a bit. Canadian Capitalist takes a peek at Vanguard’s Australian ETFs to see what kind of products and fees will be offered in Canada. Million Dollar Journey has a good primer on money market instruments. My Own Advisor makes a large financial error. Retire Happy explains how a power of attorney works. ‘Idiot’ is a bit strong word 🙂 But, yes, it is ‘idiotic’ to save money on taxes and lose more elsewhere. And I’ve been idiotic at times too. It always feels strange to watch the Stanley Cup finals with the air conditioning on. Thanks for the mention. Thanks for the mention and the condolences, Mike. But: I submitted it, I’m going on a well-deserved vacation, and then I’ll be looking on the hunt for a job with someone else when I get back! I’m a little late in getting to some posts, this one included! Previous post: Group/Pooled/Scholarship RESP Plans – How Are They Different?